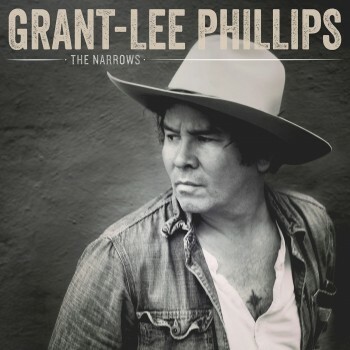 California-born and now Nashville-based acclaimed singer-songwriter Grant-Lee Phillips, who American Songwriter hails as “a national treasure,” will release The Narrows March 18, 2016 on Yep Roc Records. The album, his eighth solo release, is available for pre-order with an instant download of “Cry Cry,” which premiered at American Songwriter. Produced by Phillips (guitar/vocals) and recorded as a trio with Jerry Roe (drums) and Lex Price (electric and upright bass), The Narrows is bathed in a woody, warmly reverberating sonic signature. Marked by longing and a resolute sense of purpose, the nexus of romance, recollection, historic struggles and tragedies, and peerless craftsmanship—coupled with the hopes, fears, and isolation that accompany transition—formed the backdrop for the album.